Have I got the tastiest pumpkin treat for you! 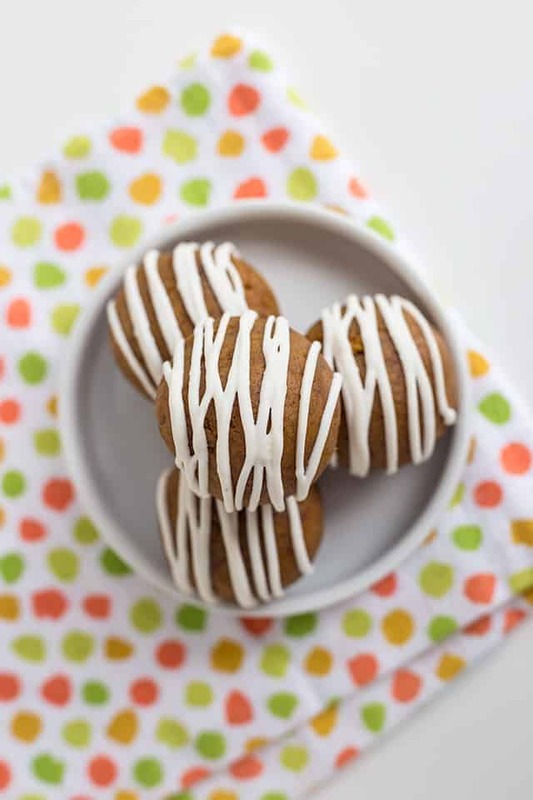 These Pumpkin white chocolate cake pops are going to make you do the happy dance. They are filled with a cinnamon white chocolate ganache. Wrapped around the ganache is a homemade pumpkin cake loaded with all the great fall flavors. Its drizzle with white candy melts for a pop of color and a little crunch. I’ve had a version of these in my head for a while, but these pumpkin white chocolate cake pops are the first one I’ve mention to actually make and show to you. The first version that’s still just in my head (fingers crossed that it’s happening this week) is a decadent chocolate cake pop. I don’t really feel like the name does it justice, but I don’t know what else to call them. Did I mention these pumpkin white chocolate cake pops are for pumpkin week? If you’re a lover of pumpkin, hop over here to see all of the pumpkin recipes you can possibly want or need. Let’s talk about the candy melts and coating chocolates as of lately. 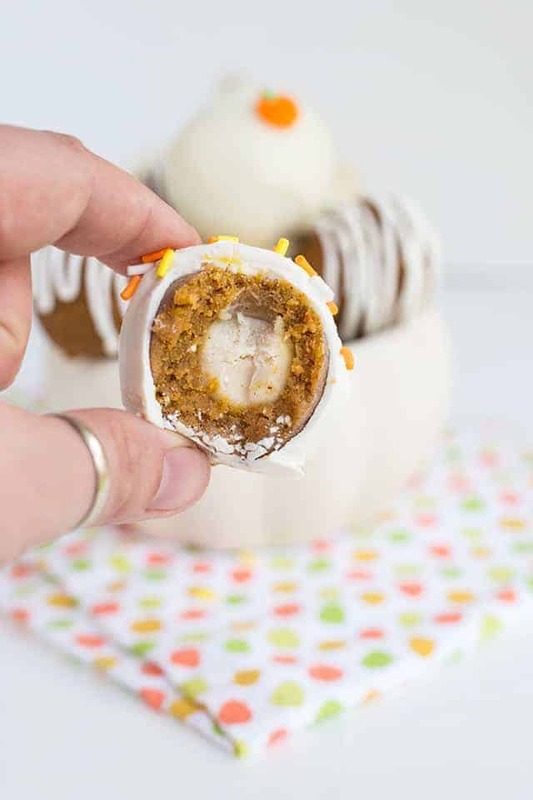 I spend the last few days going crazy trying to dip these pumpkin white chocolate cake pops. What is going on with these candy melts? They start out so incredibly thick that you can hardly dip your spoon in them to stir it around. Add coconut oil or vegetable oil and they want to separate as the chocolate begins to drip off the cake pop. I started to have these issues way back when I did the easy no bake butterfinger bites. I think I sprinkled butterfingers bits on top of help cover it up. I should do a post testing different coating chocolates. Is anyone interested in that? The trick with these cinnamon white chocolate truffles is to not let them chill too long in the fridge before scooping them and to have the correct measurement of heavy cream. If there is too much heavy cream, the ganache will flatten out and become super sticky. If you add too little, the ganache till be incredibly hard to bite through and scoop. In a microwave-safe bowl, add in the white chocolate and heavy cream. Microwave in 30-second increments and then stirring. Repeat for as many times as it takes for the ganache to become thick and smooth. You may need to stir it for 1 – 2 minutes to help melt the white chocolate. After the ganache is smooth, add in the ground cinnamon and vanilla extract. Stir until thoroughly incorporated and then cover with plastic wrap. Place into the fridge for 2 hours and then scoop out into 1 tablespoon balls. I used a 1 tablespoon cookie scoop. Don’t let it go any longer otherwise you’ll have to heat the ganache back up and let it set up all over. Scoop the ganache onto a parchment lined pan. Here’s the link to the pan I used. Cut each scoop of ganache in half with a knife and then roll each half into a ball. Set them back into the fridge and work on the pumpkin cake. I really love this moist pumpkin cake recipe. It’s loaded with spice and is just so tender. In a large bowl, add in the flour, baking powder, baking soda, ground ginger, clove, cinnamon, and lastly pumpkin spice. Whisk to incorporate all of the dry ingredients and set aside. In a large mixing bowl, add in the butter, vegetable oil, brown sugar, and granulated sugar. Beat it all until combined. Add in the vanilla extract and the eggs one at a time. Follow that up with a can of pumpkin puree. The mixture will look really broke but have no fear we’re now adding all of the dry ingredients and beating just until the flour is incorporated. Overbeating can cause the cake batter to become really gummy. 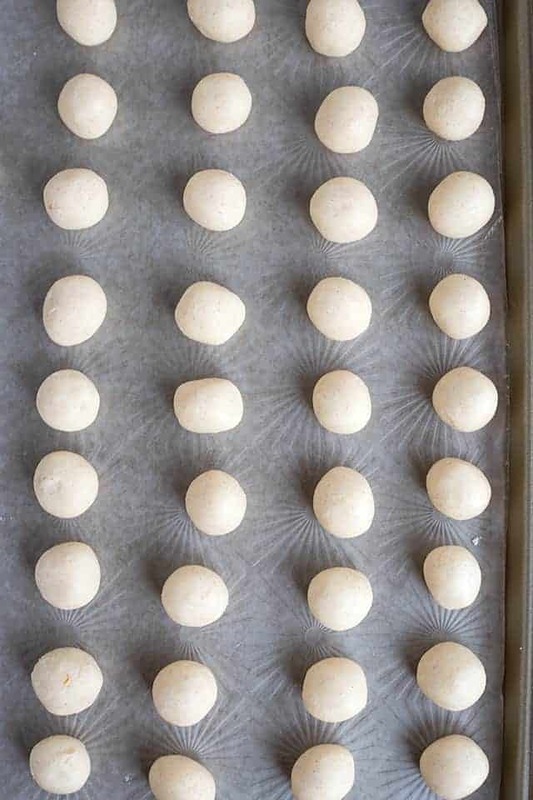 Pour into a greased and floured 9×13 baking pan and bake until it’s done. 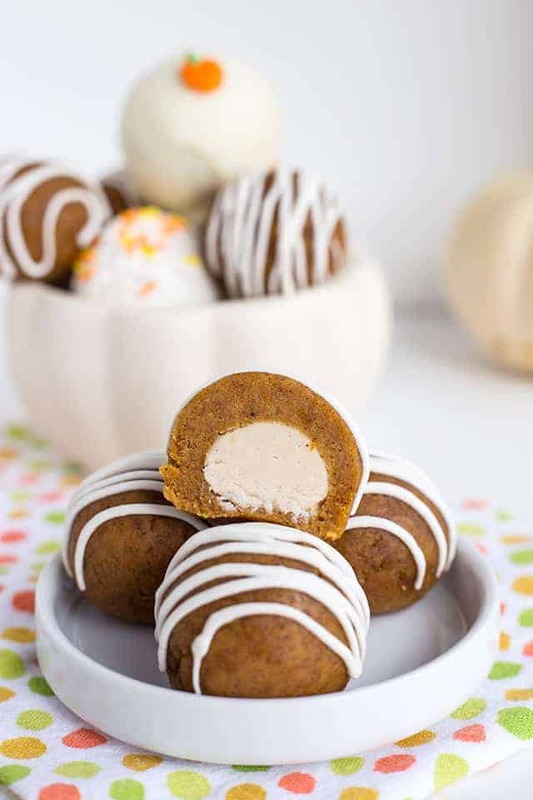 Let it cool before assembly the pumpkin white chocolate cake pops! Break the cooled moist pumpkin cake up into pieces in a large mixing bowl. Add the vanilla frosting and work it in with a spatula or even your impeccably clean hands. Once the pumpkin cake pop mixture comes together and there are no crumbs left in the bottom of the bowl, begin scooping the cake pops out with a 1 1/2 tablespoon cookie scoop. 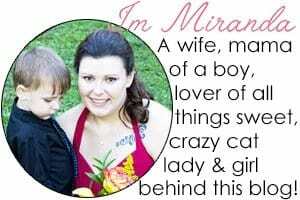 and place on a piece of parchment. Press the cake pops flat with your hands, pop a cold cinnamon white chocolate truffle in it and wrap the cake pop around it. 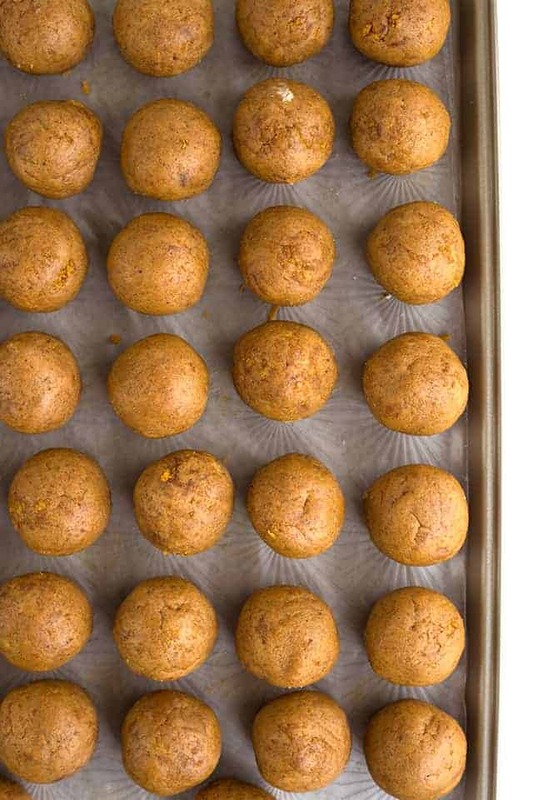 Roll the pumpkin cake pop until it’s smooth and place on the parchment lined pan. 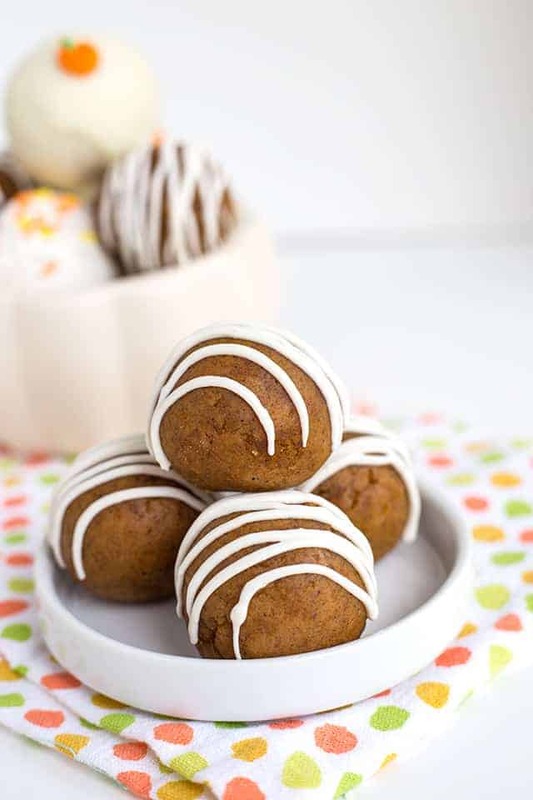 Repeat with the rest of the pumpkin white chocolate cake pops. To finish these cake pops up, add some candy melts in a microwave-safe bowl and microwave for 30-second increments until smooth. Add the coconut oil and stir until completely combined. Don’t microwave after adding the coconut oil, it will thicken back up. Add the candy melts into a sandwich bag and cut a tiny hole in one of the corners. Drizzle the candy melts on top of the cake pops. 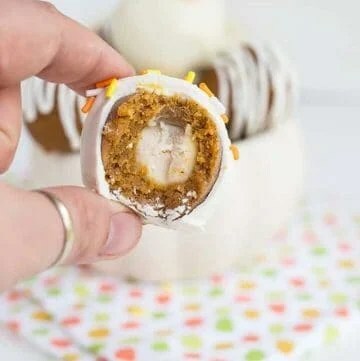 How should I store these pumpkin white chocolate cake pops? Covered and in the fridge. Can I dip them in candy melts or coating chocolate? Yes! Can I use different chocolate chips for the truffles? Yes! You need to still use the exact measurements though. These Pumpkin white chocolate cake pops are going to make you do the happy dance. They are filled with a cinnamon white chocolate ganache. Wrapped around the ganache is a homemade pumpkin cake loaded with all the great fall flavors. Its drizzle with white candy melts for a pop of color and a little crunch. In a microwave-safe bowl, add in the white chocolate chips and heavy cream. Microwave for 30-second increments and stir after each increment until the ganache is thick and smooth. It may take stirring for 1 - 2 minutes to help melt the bits of chocolate chips. Add in the ground cinnamon and vanilla extract. Stir until incorporated. Cover with plastic wrap and let chill for 2 hours, no longer than that. This is the time to make your pumpkin cake. Scoop the cinnamon white chocolate truffles with a 1 tablespoon cookie scoop. Cut each scoop of ganache in half. Roll the ganache into balls and place on a parchment lined pan. Preheat oven to 350 degrees. Grease a 9x13 pan with nonstick cooking spray and dust with flour. Tap out the excess flour. I used the spray with the flour included. In a large bowl, add in the flour, baking soda, baking powder, ground ginger, cloves, cinnamon, pumpkin pie spice, and salt. Whisk to combine. Set aside. In a large mixing bowl, add in the butter, vegetable oil, brown sugar, and sugar. Beat with hand mixer for 1 minute or until combined. Add in the vanilla and the eggs one at a time and beat until each egg is incorporated. Scrape down the sides of the bowl. Add in the pumpkin puree and beat until incorporated. Pour the dry ingredients into the wet and beat on low until most of the flour is incorporated. Turn the mixer on medium and beat just until all of the flour is combined. Pour the dough into the prepared pan and place into the oven. Bake for 35 minutes or until a toothpick comes out clean when inserted into the center of the cake. Let cool completely. I placed mine into the fridge to cool faster. Break the pumpkin cake into pieces into a large mixing bowl. Add in the vanilla frosting and stir with a spatula until the cake pop mixture comes together. Everything should be moist and there should be no crumbs in the bowl. Using a 1 1/2 tablespoon cookie scoop, scoop the cake pops onto a piece of parchment paper. Flatten the cake pops out in your palm. Add a cold white chocolate truffle to the center of the cake pop. Wrap the cake pop around the truffle and pinch together any openings you see. Roll the cake pops between your palms to make a smooth ball. Place on the parchment paper lined pan where the truffles come from. In a microwave-safe bowl, add in the white candy melts. Microwave in 30-second increments and stir until there are no lumps. The mixture will be quite thick. Add in the coconut oil and stir until the oil is incorporated. Don't microwave again because the candy melts will thicken back up. Add the candy melts into a sandwich bag and cut a small hole into the corner of the sandwich bag. Drizzle the candy melts on top of each cake pop.